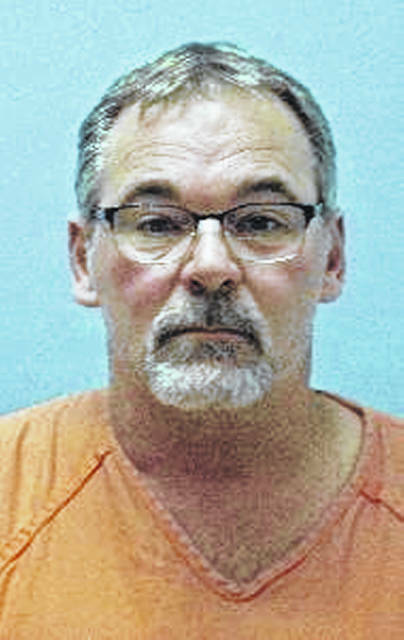 VAN WERT — Tim Dellinger, 56, of Willshire, pleaded not guilty Wednesday in Van Wert County Common Pleas Court to charges of aggravated vehicular homicide related to an April traffic accident that resulted in the death of his wife. During his arraignment hearing, Dellinger pleaded not guilty to the second-degree felony charge along with two misdemeanor counts of operating a motor vehicle while intoxicated. He was released on a surety bond. A pre-trial hearing was scheduled for 8 a.m. Oct. 5. The charges against Dellinger stem from a fatal traffic accident in April in western Van Wert County. According to reports from the Van Wert County Sheriff’s office, a 2012 Lincoln MKZ driven by Tim Dellinger appeared to have left the right side of the roadway, came back onto the pavement and then left the roadway again, striking a ditch and coming to rest in a field. Christina Dellinger, 54, a passenger in the vehicle, was pronounced dead at the scene of the accident, which took place on state Route 81 between Willshire Eastern and Harrison Willshire roads. Tim Dellinger was flown to Lutheran Hospital in Fort Wayne, Indiana. Alcohol is believed to be a factor in the crash, police said. Both the driver and passenger are not believed to have been wearing seat belts at the time of the crash.